For Windows users it’s probably all too familiar seeing the Blue Screen of Death, especially in XP. Today we take a look at BlueScreenView which is a free utility to display and interpret the data located in the mini dump files after the BSOD occurs. 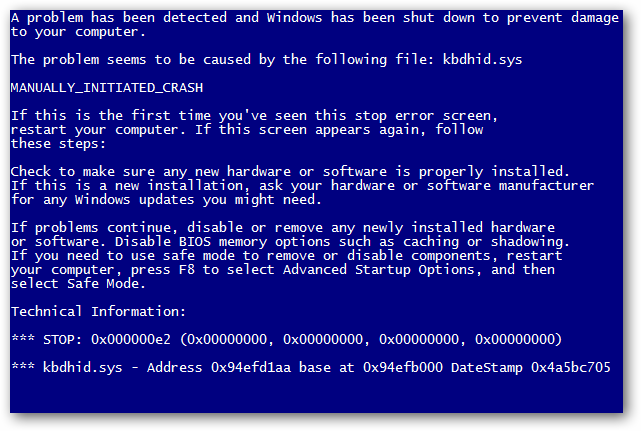 The BSOD is actually a protection mechanism that shuts down the system functions before further damage can occur. Many times the BSOD is caused by a hardware driver issue and a reboot can solve it. Unfortunately, that isn’t always the case and additional troubleshooting is needed. The problem is that the computer will reboot before you can write down the error message and figure out what is wrong. 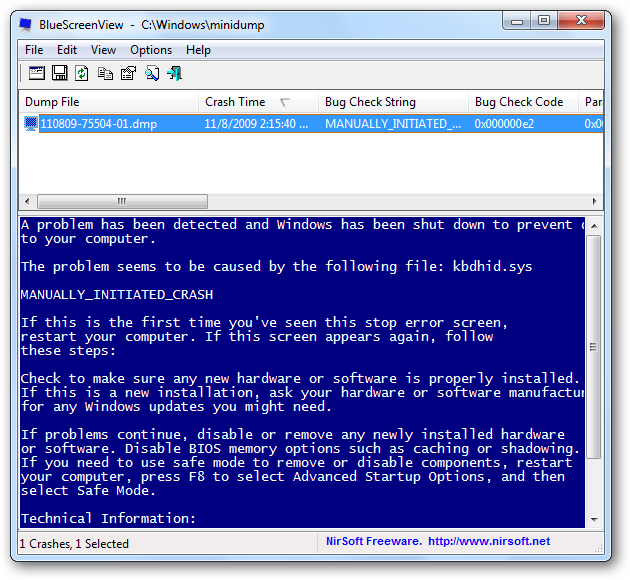 BlueScreenView is a handy utility that will display the BSOD dump file in an easy to read report so you can see what caused it. 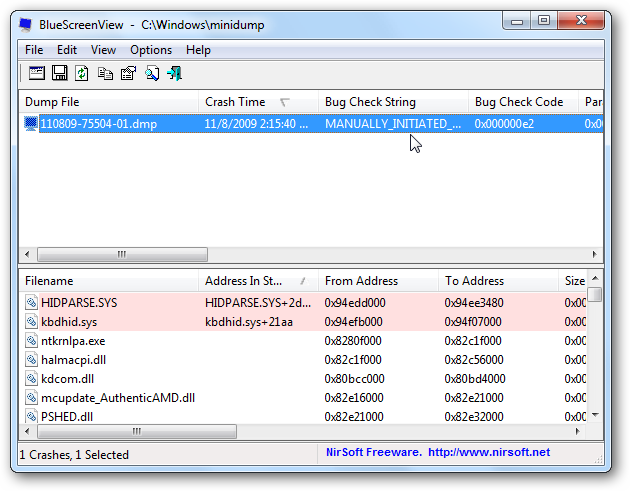 When you launch BlueScreenView it scans for minidump files (usually C:\Windows\minidump) created by the crash and displays the information. 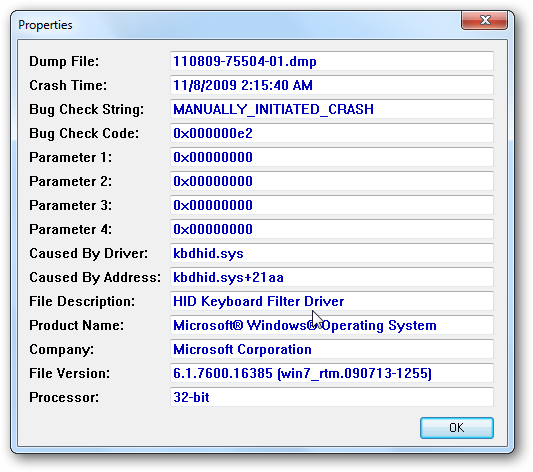 The dump files are displayed in the top pane and and in the lower pane it highlights the drivers involved that caused the crash. 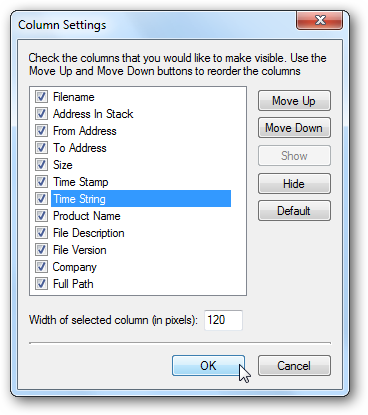 Double click on the drivers to display an easy to read table showing the various properties of the error. If you don’t want a lot of clutter you can just show the driver files involved. 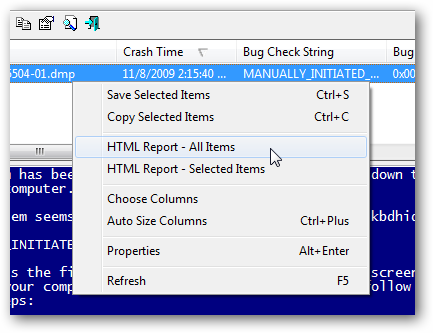 Right-click on any of the dump files and send them to an HTML Report, which will be handy if you need to send the information to a technician. The ability to save the reports is also good for identifying reoccurring issues. Another neat feature is you can have the original BSOD error be displayed. You can also customize the settings for what you want to make visible. It’s available in several different languages and works with XP, Vista and Windows 7. With BlueScreenView installed, you’ll no longer have to worry about frantically trying to write down the error message.